In most languages we find 'little words' which resemble a full word, but which cannot stand on their own. Instead they have to 'lean on' a neighbouring word, like the 'd, 've and unstressed 'em of Kim'd've helped'em ('Kim would have helped them'). These are clitics, and they are found in most of the world's languages. In English the clitic forms appear in the same place in the sentence that the full form of the word would appear in but in many languages clitics obey quite separate rules of placement. 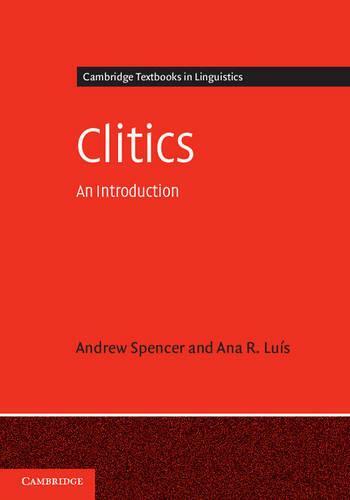 This book is the first introduction to clitics, providing a complete summary of their properties, their uses, the reasons why they are of interest to linguists and the various theoretical approaches that have been proposed for them. The book describes a whole host of clitic systems and presents data from over 100 languages.